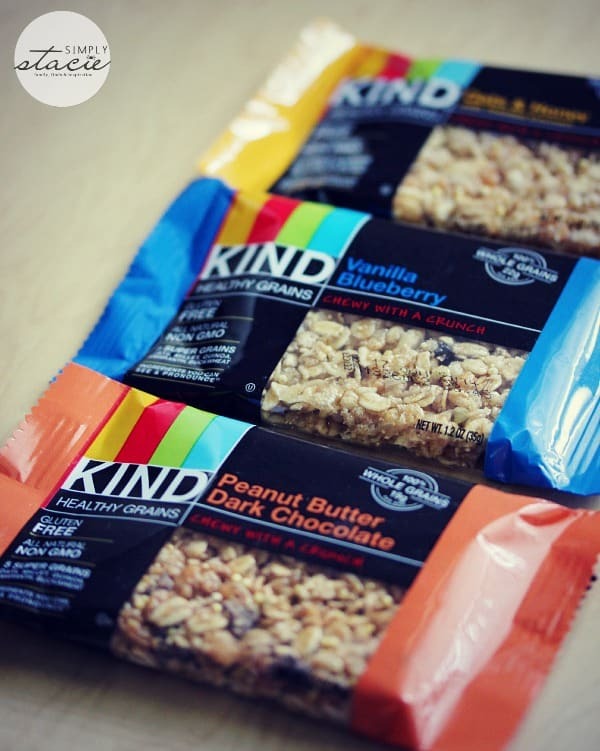 I was first introduced to KIND via a blog review! Maureen, a former contributor, had reviewed KIND bars and cereals multiple times on my site. I wasn’t sure if they sold them in Canada or not until I saw a variety of KIND products on the shelf at Sobeys in Nova Scotia. Maureen always raved about them in her reviews and said how much her family enjoys the bars. I grabbed a bunch and figured I’d try them out too. They were a hit in my household. I’ve been buying KIND bars for snacks on a regular basis for awhile now. 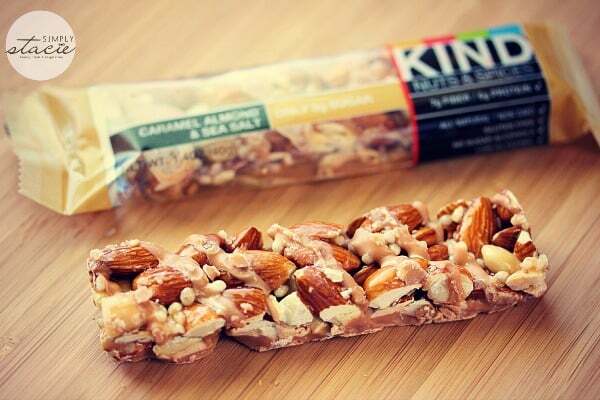 The thing I personally like about KIND is that their bars are a healthy snack. I’d much rather satisfy a hunger craving or sweet tooth pang with a KIND bar vs a sugary snack like a chocolate bar. I don’t feel guilty when I snack on a KIND bar. I also never feel like I’m depriving myself because their bars are sooo good! I would even call a few of them decadent. KIND first launched 10 years ago in 2004. They started with 8 bar varieties and have grown to over 22 bars and six Healthy Grains snackable clusters. I had the opportunity to try some of the new KIND product line-ups and one of them is my favourite yet! The KIND Healthy Grains Bars are similar to a granola bar except that are made with ingredients I recognize and can pronounce. They are also gluten free, non-GMO and contain five super grains: oats, millet, quinoa, amaranth and buckwheat. I tried three kinds: Oats & Honey with Toasted Coconut, Vanilla Blueberry and Peanut Butter Dark Chocolate. My favourite was the Oats & Honey with Toasted Coconut. One of these bars really hits the spot when a late afternoon craving hits. They are healthy, but are not short on flavour! A fight broke over the KIND Bars. These are the bars I’ve been purchasing already for awhile. I hadn’t tried the two new flavours though: Caramel Almond & Sea Salt and Dark Chocolate Mocha Almond. I’m obsessed over anything caramel and ripped into a Caramel Almond & Sea Salt bar almost right away. Each bite was pure sweet/salty heaven. Everything about this bar is perfect. It has the right combination of crunch, chewiness, sweetness and a hint of salt. I had a hard time sharing these ones! Both bars have 5 g of sugar and like other KIND products, are made with ingredients people know and can pronounce. They also have 7g of fiber and 6g of protein. If you see these at the store, TRY THEM! I’m on the hunt to find them in my local area now that we’ve moved. I didn’t realize that KIND had their Healthy Grain Clusters. We went through two bags in record time. I tried the Fruit & Nut Clusters in cereal and the Raspberry Clusters with Chia Seeds in yogurt for breakfast. So delish! I like that they don’t lose their crunch when combined with milk or yogurt. Each bite is bursting with flavour and full of the wholesome goodness of five super grains. The Fruit & Nut Clusters is made with the five super grains plus almonds, raisins and cranberries while the Raspberry Clusters with Chia Seeds has the five super grains plus raspberries, cranberries, chia seeds and a hint of vanilla. 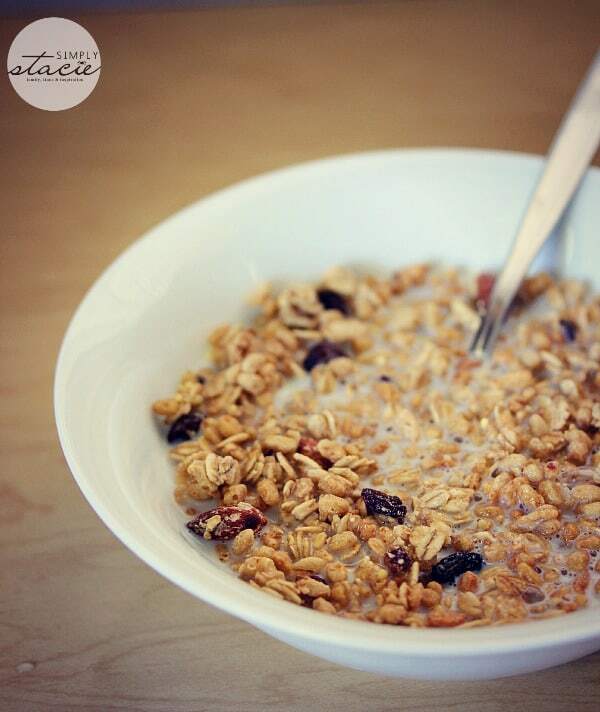 It has 35% less sugar than the average sugar content of other KIND Healthy Grains. 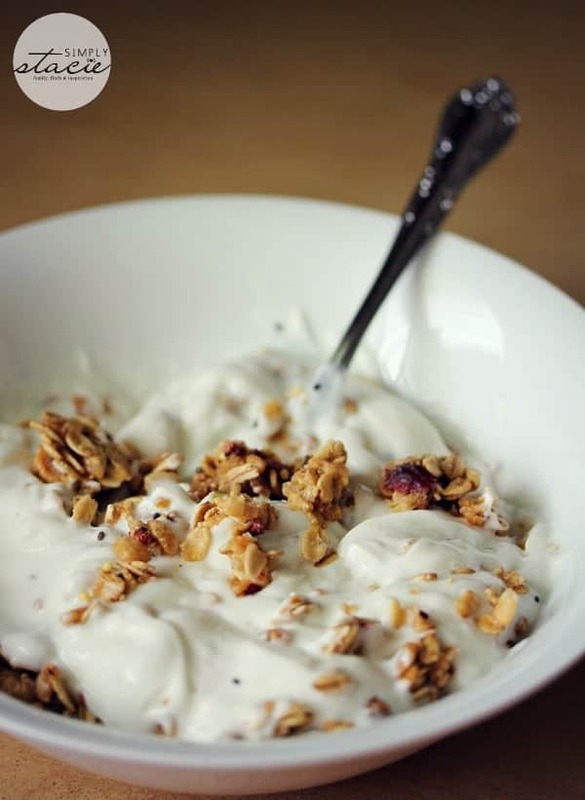 Whether you’re looking for a quick satisfying and delicious mid-day or after school snack or breakfast, KIND has lots of options to choose from. Order your favourite KIND snacks online or find a store near you that carries their products. Connect with KIND on Facebook and Twitter. Join the #SDMBeautyChat Twitter Party on 9/17! I would like to try the Kind Nut Delight Bars. I would like to try the cinnamon almond nut bars. Dark Chocolate Mocha Almond sounds heavenly! 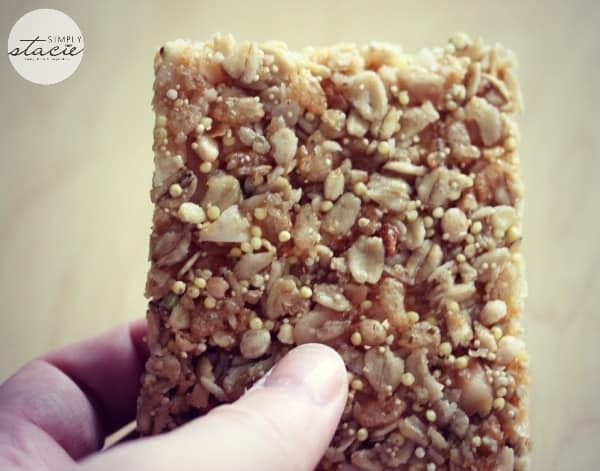 I want to try the Maple Pumpkin Seeds and Sea Salt Healthy Grain Bars! I love the vanilla blueberry!